while over 85,000 syrian refugees are currently living in the infamous zaatari camp this accounts for only about 13% of the 638,000 + syrians in jordan. the great majority are making due in random, makeshift tent camps or struggling to survive within the towns and cities of the jordanian kingdom. while i have many more images, stories and insights to share from time spent working in zaatari i must tell you a bit about what myself and the others with me experienced yesterday while visiting what are known as the “random camps” in and around mafraq. having heard that such a high percentage of syrians were not even staying in zaatari and that their conditions were far worse that that of zaatari i knew that i needed to see this myself. so, thanks to a dear friend, ahmad, myself and a few others were driven to mafraq and introduced to a handful of syrian families who have been living in tents set up on small patches of land for the past several years. these tents are home to anywhere from a few individuals to many generations of one family to numerous families living together due to lack of any other option. 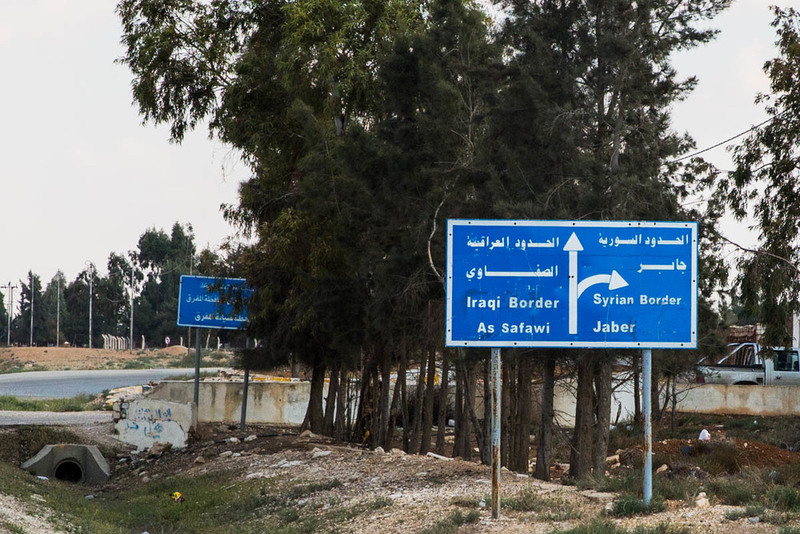 syrian refugees have no rights in jordan. as a result, they are not legally permitted to work, have little to no access to healthcare and get by on coupons provided by the jordanian government. these coupons are good for basic needs but anything outside of those needs requires cash. unable to work legally the only way to obtain cash is to work illegally or to sell the items that they are able to obtain through the government coupons. while the individual stories differ the situation is shockingly similar for all. each person that we spoke to left behind a life where they were a doctor, an engineer, a teacher, a student, a husband, wife or a young child when the fighting and shelling became too much and the decision was made to flee. each of them has left everything behind. homes, cars, friends, clothing, memories … life as they have known it for most of their existence. it was about 2 PM when we entered the tent of halid. halid is a father a husband and a man making due in a tent no larger than many of our bedrooms. upon entering his home we were all greeted warmly as though it was their honor to have us there rather than the privilege i felt in being allowed into their lives. we sat, tea was poured and the conversation began. a healthy futbol player, computer science engineer and a government employee prior to the war, dr. m now lives in a canvas tent with his wife and four children without running water or electricity and is paralyzed from the waist down. educated in both america and in japan, dr m had a good, upper-middle class life in syria. he had a family, a high paying job, a good home and a future. when protests began in his hometown of daraa in march of 2011 dr. m continued to make the treacherous journey to work despite having what was once a 15 minute commute turn into a 2 hour one due to numerous checkpoints popping up overnight. life gradually became more difficult, restricted and dangerous. in august of 2011, dr. m made the decision that it was too dangerous to travel to the city of mafraq for work and stayed in the relative safety of his home with his family. this is when the trouble began. dr. m was taken into custody and accused of begin a traitor by the government (due to his absence from work), forced to sign papers admitting to a slew of criminal activity and was held underground, in a prison for over a year. he shared with us the details of this prison experience. he witnessed and experienced beating with metal cables. men were spread out with their arms and legs bound to a spinning table and men stood around whipped them as the table spun. dr. m’s injuries, visible to us as he sat with his crutches nearby, are a result of prolonged electrocution to his legs and and to his spine. once an active man dr. m now has no use of his right leg and minimal use of his left. he witnessed the death, by torture, of many of his fellow syrian men. dr. m finally found freedom by taking a prescription medication, pretending to be dead and being taken out of the prison with dead bodies . only then was he and his family able to escape. under the cover of night they left darra and walked to the Jordanian border. there they were welcome by the jordanian police and after a short stay in the zaatari refugee camp have been living in this barren patch of dirt for the past four years. dr. m spoke of how he initially had great hope for returning to syria. that this situation could not possibly drag on … that there was no way that he would not be able to return to the country that he loved and that was home. now he is not so sure. what is the future for syria? what is the future for dr. m? what is the future for the millions of syrian men women and children that have been displaced by this conflict? thank you to all who have and continue to support me — it means the world to be able to do this work.